Endorsing a check is a straightforward process. When you receive a check with your name as the payee you have various options for cashing it. You can simply sign the back of the check and cash it. Signing it over to someone else with a special endorsement that designates this person by name is another option and the one we'll explore below. Note the way your name appears on the “Pay to the Order of” line on the front of the check. This shows how you must sign your name on the back of the check to sign it over to a third party. 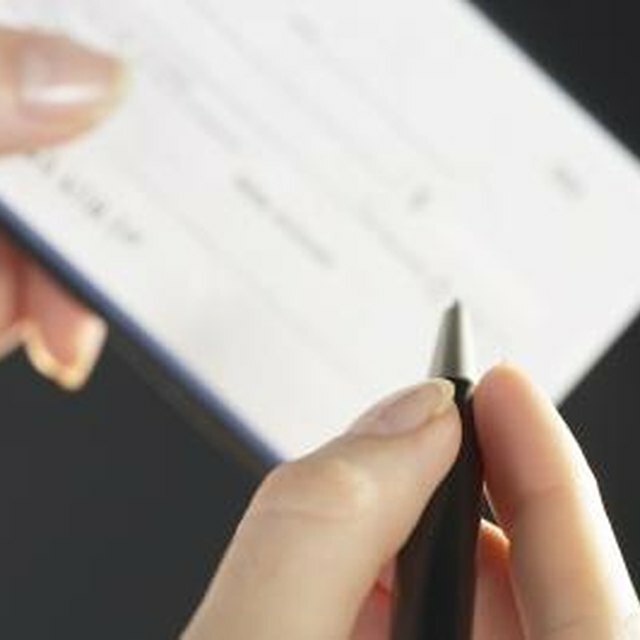 Your signature on the bank must match your name on the front of the check. Turn the check over and find the end marked with several lines and the words “Endorse Here.” The bottom line indicates that you can't write below it. This is the place set aside for endorsing the check. Write “Pay to the Order of” on the top line to create the endorsement to the third party. Write the first and last name of the person to whom you wish to endorse the check on the next line. Sign your name on the third line as it appears on the front of the check to complete the special endorsement to a third party. 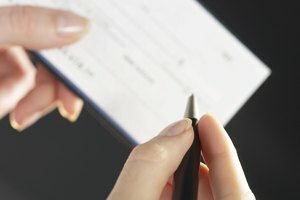 This enables the third party to be the only person legally able to sign the check, according to the website of financial services company Citibank. The third party will sign her name below your signature, above the bottom line of the endorsement box to cash the check. The third party might have problems cashing the endorsed check unless he takes it to a bank that knows him well. 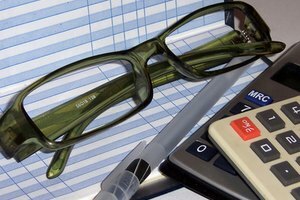 If difficulties arise, you may need to ask the person who wrote the check to void it and write a new check directly to the third party. 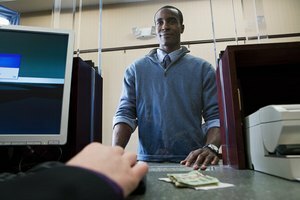 Avoid problems by cashing the check yourself and either giving the third party cash or writing a separate check directly to the third party. Hatter, Kathryn. "How to Sign a Check Over to Another Person." Synonym, https://classroom.synonym.com/sign-check-over-another-person-9714.html. Accessed 24 April 2019.